Schwab/Haze For Kansas – Still a Joke! – Kent Hovind v. Robert Baty – The Great Debates! Home→Schwab/Haze For Kansas – Still a Joke! About three and one-half years ago, the children of Raymond and Amelia Schwab were taken in to take custody and placed with relatives. For two and one-half years or so, Raymond mounted an anti-government campaign against the State of Kansas and all involved with the taking of the children and refused to properly cooperate in convincing authorities that the children should be returned. Over the course of the last year or so I and others have been working together to report on the child custody case of Raymond Schwab. In response to our reporting, Raymond and his people changed their course and the children were recently returned under circumstances that have yet to be fully documented. 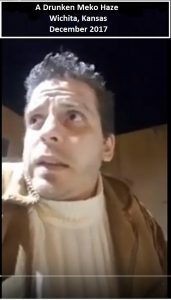 The children were returned to Amelia who moved them to Colorado while Raymond took employment related to the rebuilding of energy infrastructure in Puerto Rico. 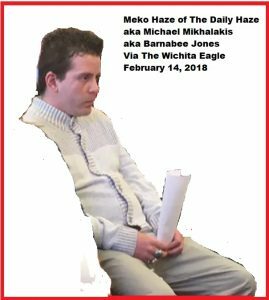 Today, Raymond has renewed his claim that he and Meko Haze will be planning a run for two top offices in Kansas State government. It seems to be a common gimmick for anti-government types like Raymond and Meko to run for political office knowing there is no chance of being elected. Several of their anti-government activist associates are running or have run for such offices. 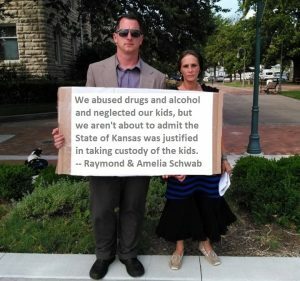 Raymond’s children were taken in consequence of his and his wife’s drug and alcohol abuse and neglect/abuse of their children. 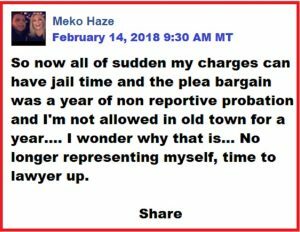 Meko is known to also have drug and alcohol problems and famously broadcast his own recent arrest for public drunkenness. Getting on the ballot is not a joke. going to put our candidacy out there. 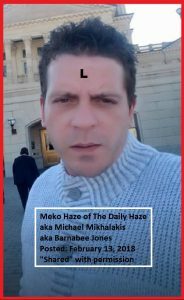 Meko’s Haze and I will be exploring the viability.